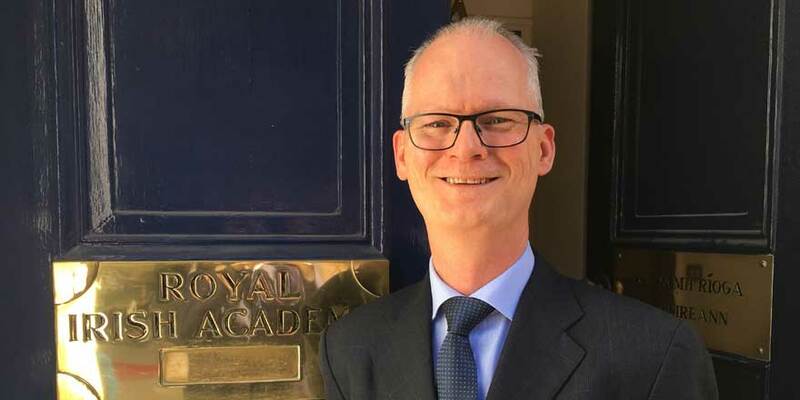 CONNECT Principal Investigator Professor Peter Kennedy at Tyndall National Institute in Cork has been elected President of the Royal Irish Academy. Professor Kennedy is the first President from University College Cork and succeeds historian Professor Mary E. Daly who was elected as the Academy’s first female President in 2014. A graduate of UCD and the University of California at Berkeley, Peter Kennedy is Professor of Microelectronic Engineering at UCC and is one of Ireland’s leading engineers whose research has been funded by Science Foundation Ireland and the Irish Research Council. He received the inaugural Parsons Medal in the Engineering Sciences from the Irish Academy of Engineering in 2001 and was elected as a member of the Academy in 2004. He won UCC’s Invention of the Year Award in 2011 and led the development of the US-Ireland Research Innovation Awards in 2014/15, an initiative of the Royal Irish Academy and the American Chamber of Commerce Ireland.